← Fighting in Hockey…..Not For Me…..
– Don Cherry is under fire for comments he made on the October 6th edition of Hockey Night in Canada. Cherry referred to former NHL enforcers Stu Grimson, Chris Nilan and Jim Thomson as “Pukes”, hypocrites and turncoats for saying that fighting should be taken out of hockey, even though they played during their careers as enforcers in the league. I am all for freedom of speech. Don Cherry has made a career off of saying whatever is on his mind, and to hell with the consequences. I can respect that in a way. It takes a very confident man to go on the air on a weekly basis in front of millions of people and have the guts to say whatever is on your mind. But in this case, I can’t find myself siding with the colorful Cherry. Fighting, Concussions and the recent deaths in the sport have become a very serious issue. It shouldn’t matter if those former players say that fighting in hockey is a negative, rather than a positive. Sure, when they played the game, they brawled and scrapped with fellow league-mates. But the NHL is different now. Times have changed. We have seen many players go to drugs and alcohol to deal with their mental and physical pain. Whether or not there is a relation between that and fighting remains to be seen. But due to the sensitivity of the issue, I believe Don should have kept those comments to himself. If that is how those players feel about fighting in today’s day and age, then so be it. 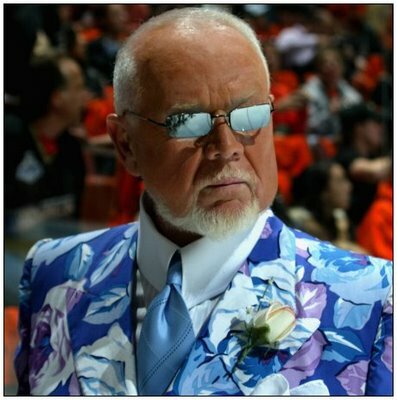 I do not however agree that they should sue Don Cherry. By now they should know that Don has no filter when it comes to what he says on the air. Take it with a grain of salt and move on. *If you would like to see Don’s comments from Hockey Night in Canada, be sure to check out the video below. 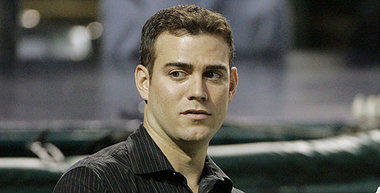 – Former Boston Red Sox General Manager Theo Epstein has signed a 5 year, $20 million dollar deal with the Chicago Cubs. There is no word yet on what Epstein’s job title will be, but he is expected to have more responsibility than he did in Boston. What a great pick-up for the Chicago Cubs. Epstein is a proven winner and was the saving grace for a franchise that went 80+ years without a World Series. What a better guy than Theo to jump into a situation with a franchise that has gone EVEN LONGER without a championship. Some say that with the payroll that he had in Boston, it would have been near to impossible to not put a contender on the field and win World Championships. Money doesn’t always buy titles though. Just ask the New York Yankees. Epstein did have a problem with overpaying players for the Sox, such as Carl Crawford, J.D Drew and John Lackey, all of whom didn’t live up to expectations. The Red Sox are also coming off one of the biggest collapses in baseball history, which is another strike on Epsteins resume. But for a franchise that hasn’t experienced a championship ball-squad for so long, there really shouldn’t be anything to complain about with this signing. If anything, it should give hope to the city that maybe, just maybe, he can bring them a title. Can Theo Epstein be the man who brings BOTH the Boston Red Sox AND the Chicago Cubs World Series wins? What a coo that would be. 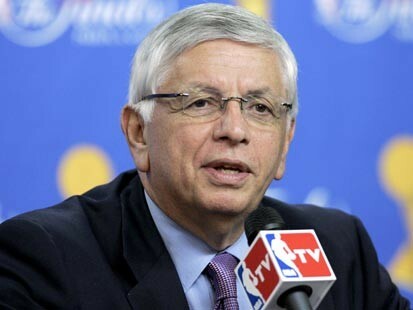 – NBA Commissioner David Stern has officially canceled the first 2 weeks of the NBA Season. The cancellation will affect games that were scheduled on November 1st through November 14th. Is anyone really shocked by this news? If anyone thinks that this lockout and dispute between players and owners is anywhere near being over, then they are out of their minds. At this point, it would not surprise me one bit to see the whole season cancelled. You know who this hurts the most? It’s not the players, league or commissioner. It is the fans. The fans are losing their Basketball. This is a time of year where the Baseball has its playoffs, Football is underway and the NHL year is just beginning. Yet it is the NBA that is standing out from the pack, but for all the wrong reasons. The owners and the players are both refusing to swallow their pride and do what is right for the league. Am I supposed to feel sorry for players that are going from $5 million a year down to 3? The players like things the way they are and owners just want to make money and have a system where everyone can compete for a championship. The owners also want a hard salary cap, which would eliminate guaranteed contracts for all but a handful of players. It would also allow smaller market teams to have a chance at signing free agents and winning games. All of this is hear say because no one is caving. There are no meetings scheduled for the foreseeable future and that just means that more games will be cancelled, which is horrible for all fans. We want Basketball. Fan’s don’t care about the money and contracts, they just want to see a product on the court. I really hope basketball fans own video game consoles, because NBA 2k12 may be the only NBA action their going to get this year.